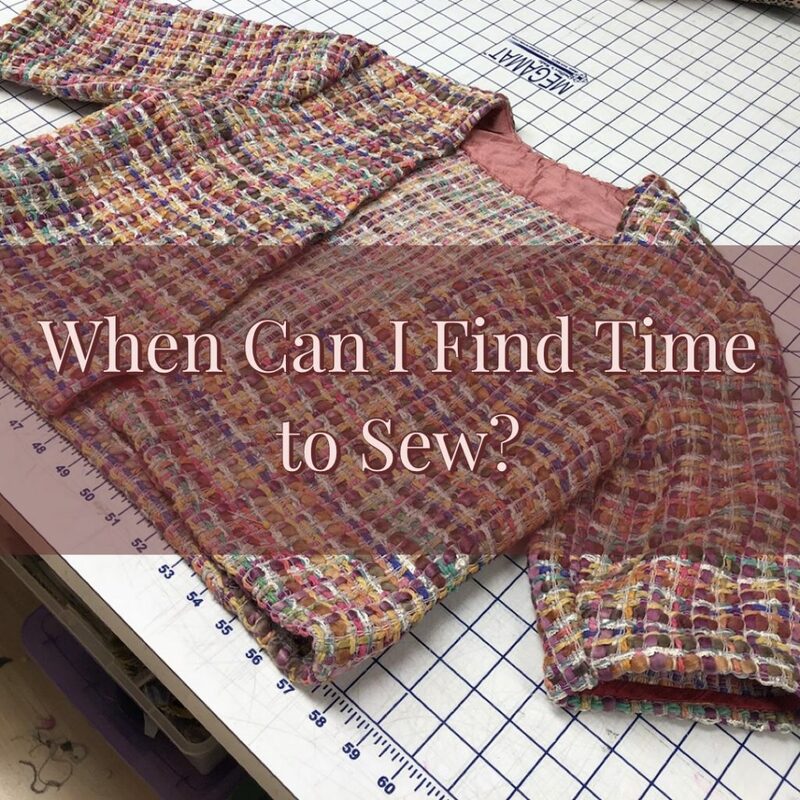 When Can I Find Time to Sew? This post contains affiliate links. When you click through and make a purchase, SewHere gets a small commission at no cost to you. I will freely admit that I am not a naturally organized person. For whatever reason, I struggle with time management and keeping my life together. Is this just because I have two little kids? Nope. In fact, I think I’ve become more organized since becoming a mother- I guess when little people’s lives depend on you, it raises the stakes! Admitting this shortcoming might not be the best idea- but I think I can be honest with you all. However, I’ve been learning a lot from my own mom, the Self Sewn Wardrobe community, and a few helpful podcasts over the last few years- and things are getting better! I’ve been getting more sewing done, and when I don’t all of a sudden decide to develop a pattern in 4 weeks, work is going well too! Last year, in the Self Sewn Wardrobe Group, we did a “Sew Everyday” Challenge where we tried to sew something every day. We counted productive cleaning and organizing time as well- but it really turned on a big lightbulb for members and for myself! We all started realizing that even a few 5-10 minute chunks of time at the machine or cutting table really added up over those days and weeks. The idea of using small pockets of time to make a big impact is not new. The Pomodoro Technique developed in the 1980’s uses 25 minute intervals to help get things done. Pomodoro is the Italian word for tomato and refers to the tomato timer that researcher Francesco Cirillo used when developing and documenting the technique. People who write/blog/podcast about cleaning, decluttering, and housekeeping love timers. The Fly Lady has a timer with a little message on it that says “You can do anything for 15 minutes”- I want a Kimmy Schmidt branded timer with her crank motto “You can do anything for 10 seconds”. Dana K White of A Sob Comes Clean mentions timers. I like Dana. Her self diagnosis of “slob” and her story about realizing that she is not naturally organizationally inclined really resonates with me. The idea behind the timer theories is that if you can just make yourself declutter or do dishes or just generally clean up for 10, 15, or 25 minutes, your house will be cleaner, you’ll chip away at grime and clutter. Sounds exciting. But here’s the thing- sewing is different from these other tasks. We want to sew. We don’t have to set a timer in order to make ourselves sew. We are scrambling for the time. We don’t need to reassure ourselves that we only have to sew for 10 minutes. We are desperate for the time. We are expected to clean, and I can sort of understand why- sanitation or whatever. However, we are not expected to find time for leisure, personal development, or creativity. 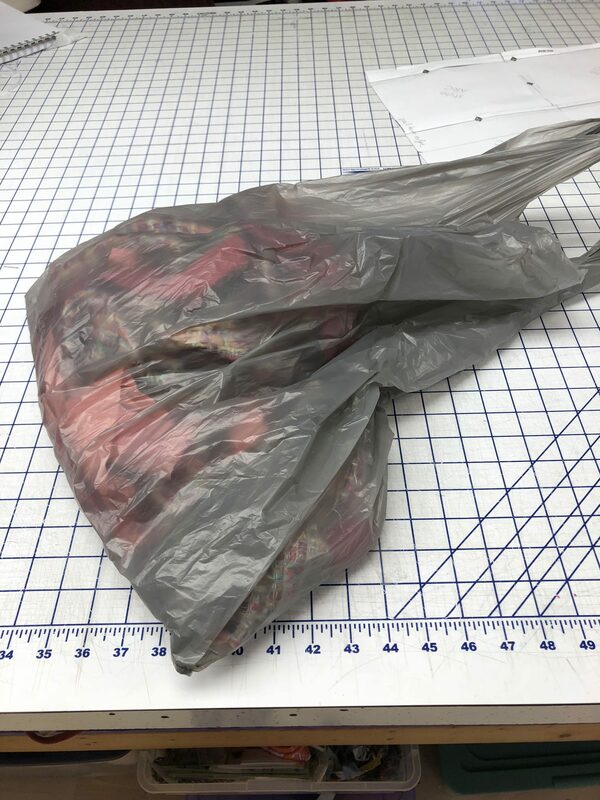 In fact, I hear from a lot of people that they feel guilty setting aside time for a fun task for themselves, like sewing. Now, something doesn’t add up here. People have to make themselves clean during a 15 minute time slot that definitely exists, but then they also can’t find the time to sew? I know that very few of us are just sitting around paralyzed. We’re busy! We’re working, we’re spending time with friends and family. 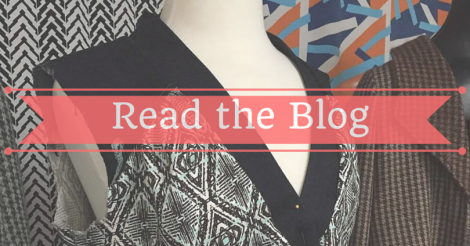 How can we make sewing a priority? Just like any habit or commitment- you’ve got to make the time. You can’t just say that you wish you could sew more. That won’t get you where you want to go. You have to make the time. Now, I’m not being bossy or trying to act like the Jillian Michaels of sewing. Let me connect the dots. You have to make the time. But you only need to make a little bit of time, consistently. Say that you’ll “sew” for 15 minutes two nights a week. Or 10 minutes three times a week. I put sew in quotes, because I want us to count any productive time in our space. Cutting, cleaning, organizing, etc. are all things that need to happen in order for a project to get finished. I think many of us, myself included, fantasize about hours of uninterrupted sewing time. Perhaps we dream of a series of days where we could sew up all of our dream garments. I don’t have to tell you that’s unrealistic, but I do want to tell you that it’s not actually what you might want. You and me, we’re going to be sewing all of our lives. Any amount of hours or days that you give us would be filled with sewing. Then we’d come up with more garments to make, more projects to complete, and we’d yearn for more time. We’ll always want time to sew. So, let’s take what we can get when we can get it. Take it from one of the most disorganized people you know…me…YES! I took this silk boucle jacket from plastic grocery bag to DONE-ZO in about 2 weeks by sewing for a bit early in the mornings. 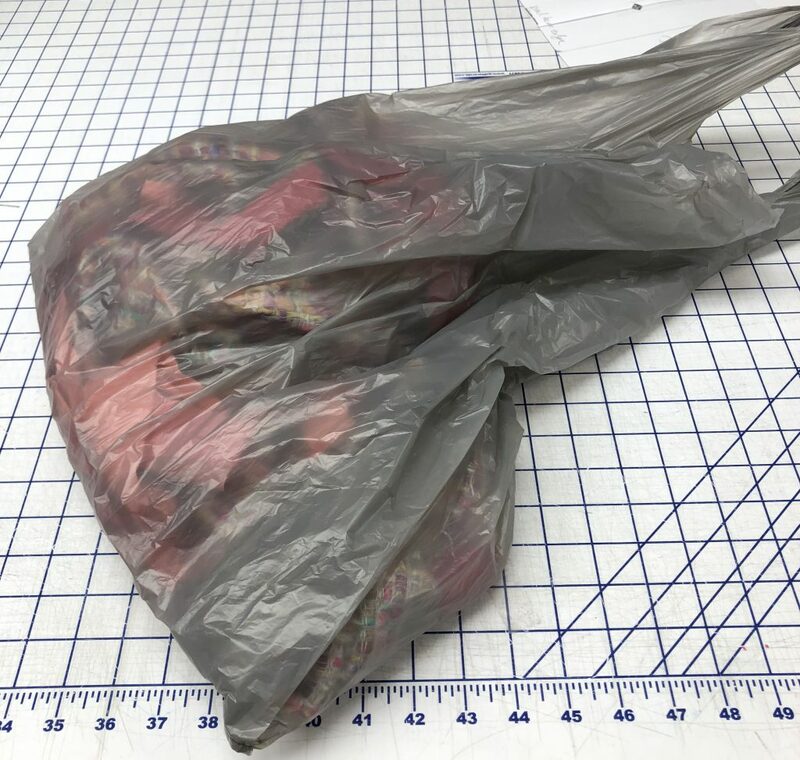 Day 0: $70/yard silk boucle jacket in a grocery sack. Now, I didn’t particularly schedule my sessions, but after Daylight Savings Time (cringe), I kept waking up very early in the mornings. So, instead of laying awake in bed and thinking about how tired I was or trying to get back to sleep, I went to the studio and worked on the jacket. Day #Something: Binding armholes. Sometimes I only got to clip a few things in place! How long would I have? Until the baby woke up. I didn’t set any daily goals, I just worked on the jacket until people started crying or yelling hungrily. See, I don’t need a special tomato timer. 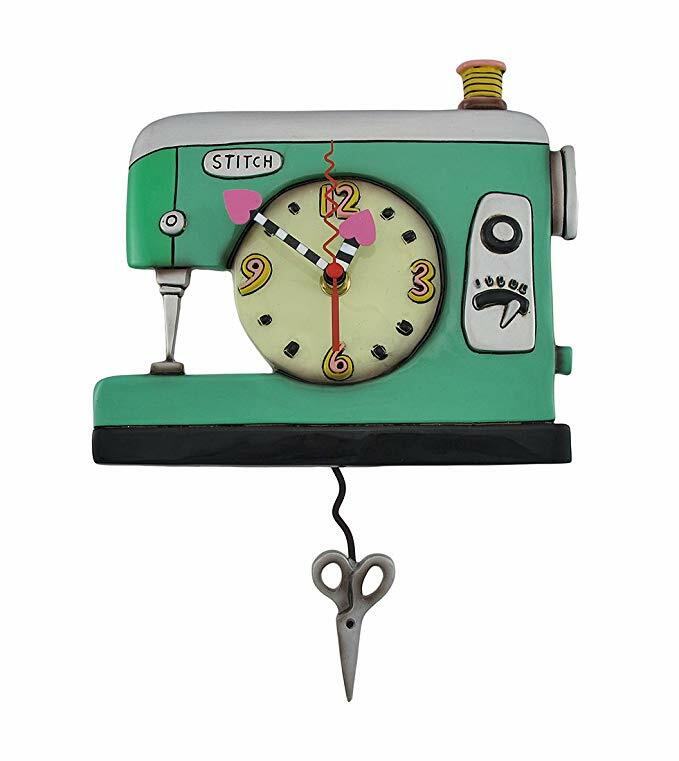 But I do very badly want this sewing clock. Then, it will always be time to sew. How Does Mallory Donohue of “SewHere.com” Not Have Time To Sew? Good question. I think you’ll find that many professional content creators actually struggle to do the thing that they write, talk, blog about once they start writing, talking, blogging about it. That’s because there’s a lot of stuff to do behind the scenes and in front of the scenes. 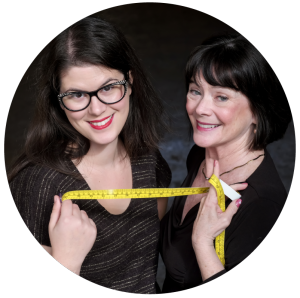 In fact, this episode of The Very Serious Crafts Podcast discusses why many hobbyists seem to be more productive than professional craft bloggers. But, I don’t want this to be my reality. I don’t want to struggle to find time to sew. I want to feed my soul and keep learning and I want to keep writing, podcasting, and blogging. I just have to make my priorities clear to myself and know that small chunks of time add up- no matter what the task. Have you tried to sew in small units of time? What did you accomplish? Have been working on 7 sets of pj’s for grandchildren for Christmas. Took 3 days to get them all cut out a couple of weeks ago. Working on them for a few minutes whenever I have a sec, waiting for dryer, up early, not too tired etc. they are going to be done well in time for Christmas instead of my usual panicking and procrastinating and pulling all nighters at the last minute. Almost 6 done and one to go and then all of the buttons and buttonholes at the end….maybe snaps? An ahah! moment! Nancy Zieman published a book about this in the 80s. 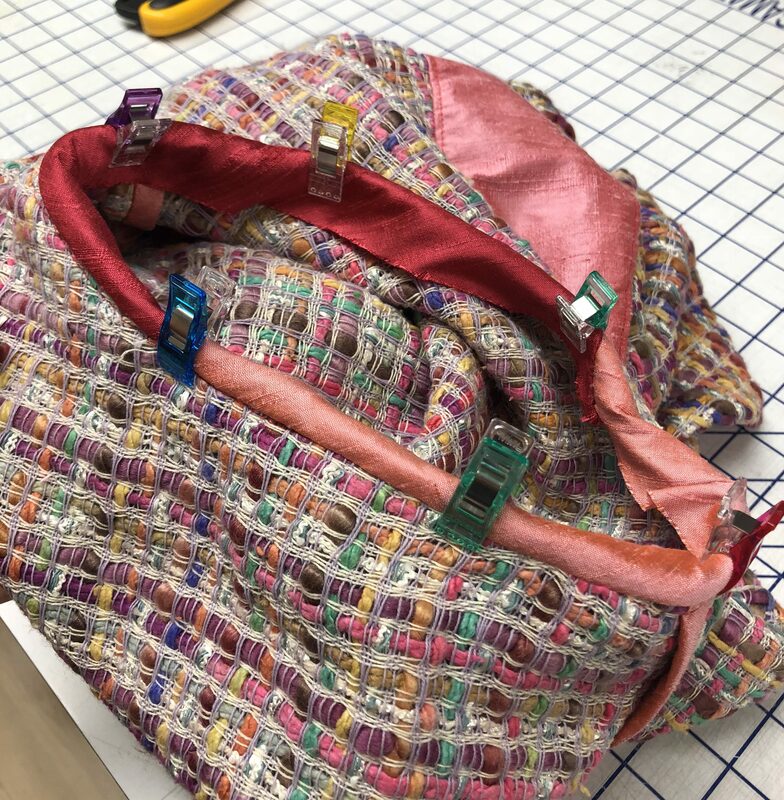 “10, 20, 30 minutes to Sew” breaking up a project into small bites of time and trying to be organized enough to remember where you are in the project to make the most of the time you have to do what you love. Was she amazing, or what? Gorgeous jacket. Can we see pictures of it on?